Notes: Received an eARC from the publisher.All quotes will need to be checked against the final copy. Tessa Galloway was married for 10 years before her husband, whom she'd been trying to have a child with, left her for another woman--a woman he'd had an affair with and had gotten pregnant. While he'd broken Tessa's heart and stolen all her dreams for a happily ever after, she still wanted a baby. Now she's thinking of taking a huge step--she's looking into being artificially inseminated. She's given up on finding that special someone, but not the hope of having a child. Ian Brown is in the UK version of the witness protection program. He witnessed someone leaving the scene of his wife's and brother-in-law's murders, and that individual is not the type of person one wants to mess with. Whisked away from London, he's been previously relocated and found and is now hiding in the US. When placed into the witness protection program he'd been separated from the two people whom he loves most in the world--his children. His wife and her brother had been murdered by a man heading one of London's most notorious gangs, N1L--short for No One Lives. The UK Protective Persons Service felt it would be easier to find a man with twins, so they split the small family up. Now, he's been told he needs a wife if he ever hopes to regain custody of his children. It's been close to three years since they were together and he'd do practically anything to get them back. He needs to find someone and quick, if he doesn't, he may lose his kids forever. Two very different circumstances. Two very different wishes. Could each be what the other needs? This was a very fun story. Tessa is a beautiful, sweet and loyal person who hates secrets. She hasn't dated since her husband betrayed her three years ago and left her. She runs a small farm that grows organic vegetables and supplies the resort she and her friends have teamed together to create. Each of the resort's villas bears the name of a different flower, herb, or spice that is indigenous to Morrocco or North Africa to fuse together the resort's theme of Casa Blanca. Tessa makes sure that each villa has the plants its named for growing around it, many of which are difficult to grow in the Florida climate. As her friends have all recently wed and are beginning to have children, the itch to have a baby has once again struck Tessa hard. Her friends think she should try the old-fashioned way again before opting to use a donor's sperm to fertilize one of her eggs. They encourage her to get out there and date or at least get horizontal with someone. Ian Browning, now going by the name John, is looking for a job as he drifts through Barefoot Bay. He's picked up some cooking skills over the last few years and is looking to fill the chef position he sees advertised for the Casa Blanca resort. He's just what the resort needs and what Tessa's friends suspect Tessa needs. There's no doubt he's both smart and handsome, but while Tessa finds herself attracted to him, she can't help but feel he's hiding something--an instant relationship breaker in her book. Over the past few years Ian's lost himself in grief, drink, and ink, but he's finally starting to get a hold of his life and put the pieces of it back together. He desperately wants his children back, but as long as the N1L exists, the likelihood is grim. Agents have been working to make the dream a reality, but for the moment gang members are still out there. When the possibility arises that he may be able to get his kids back he needs to act quickly or the possibility may be lost forever. He needs a wife, no one permanent, who he can quickly discard. Just a person to give the appearance that he's in a stable relationship. He can't tell the truth to anyone, not even a perspective wife, because he and his children's lives depend on no one finding out who he truly is. Tessa is the obvious choice, but can he do to her what his liaison in the UK Protective Persons Service is asking him to do? Could he be so cruel? He will quickly have to decide or lose his chance. I loved the symbolism Ms. St. Claire incorporated into the story via the junonia shell and the saffron plants. It added a touch of whimsy to the story. 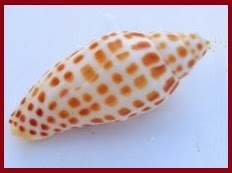 The junonia shell, like true love, is rare, but not impossible to find. Additionally, the saffron plant has deep set roots and, at times, can give the impression of being dead (like Tessa's dream of finding love and having a family) when it is just dormant tending to spring back to life when all hope seems gone. I thought this was very cleverly used. I found the story very sweet and charming. I liked that it dealt with the fears one experience in a new relationship along with the faith and trust one needs to have for a relationship nurture and grow. Ms. St. Claire spins a web of lies that ensnare not only Ian, but all those he comes to care for. I love the inner struggle Ian has as he's torn between his newly forming feelings for Tessa and his instincts to protect his children. The choice that he has to make and live with is bittersweet. I loved watching these two fall in love. I gave it 4 1/2 out of 5 roses. On the Lisarenee Romance Rating Scale, I gave this book a STEAM rating--too hot for a fan, but you still have a handle on things. You should use extreme caution when reading a book with this rating in public. People may inquire as to why you looked flustered and flushed.